Suzanne Swanson, PhD, LP had 40 years’ experience as a psychotherapist, much of it working with mothers and their partners. She now offers consultation, workshops, and presentations on perinatal mental health. She has been a Minnesota coordinator for PSI and was Founding Director of Pregnancy and Postpartum Support of Minnesota (PPSM). 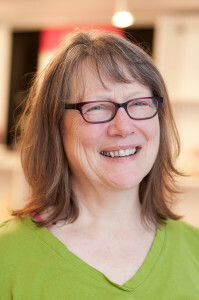 Suzanne serves on the board for Prevention and Treatment of Traumatic Childbirth (PATTCh), and teaches Another Birth/Another Story classes for couples pregnant again after a traumatic birth. Suzanne is the author of House of Music and What Other Worlds: Postpartum Poems. She is the mother of three grown children, and grandmother to two. She is happiest near big water and loves to row on the Mississippi River.